Unlike most musicians living in “Music City,” Heath was born and raised in Nashville, Tennessee, using the city’s rich musical history to influence him in a variety of ways. Heath had his first experience at the famed Bluebird Café, a legendary Nashville hotspot for songwriters, as a teenager. More than the great music, the camaraderie between the songwriters grabbed hold of Heath. In a community of songwriters, he noticed, the songs became bigger than mere songs. They were about shared experiences and lives that are bound together in true friendship. Brandon Heath likes the little moments. 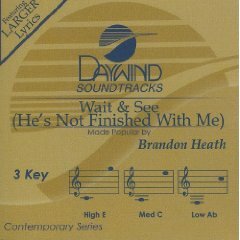 Those opportunities to observe, process and act upon what he witnesses in the world surrounding him are the primary traits of a great songwriter, something Heath continues to showcase on his second Reunion Records release, What If We. Even the album’s title grew up out of one of those little moments, a conversation Heath was having with a mentor that sent the Nashville native, now Houston resident, spinning off into thought. 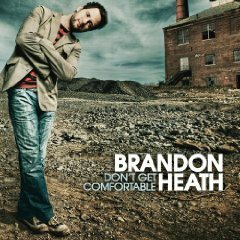 Don’t Get Comfortable is Heath’s major label debut, and it is the culmination of all of his years studying the songwriting greats. Super-producer Dan Muckala (Backstreet Boys, Nick Lachey, The Afters) uses his pop music dexterity to mold earthy songwriting into the stellar sound that rises above the clutter of mindless radio pop without losing its larger than life hooks. 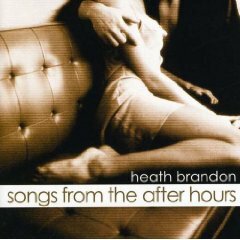 Heath's second album is a compilation of him working both solo and together with co-writers, wrote more than 40 songs in preparation for What If We, and of the 11 that finally made the cut, it’s fascinating to take a look at how many deal with those little moments – moments of loneliness, of triumph, of questioning, and of longing. 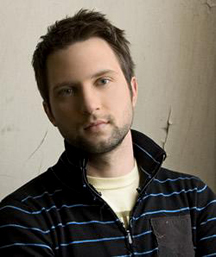 Brandon Heath toured as a guest on Aaron Shust's 30-city Whispered and Shouted tour from early to mid 2008. His second studio album, What If We, was released on August 19, 2008. The album's first single, "Give Me Your Eyes", was released in July 2008 and became a number-one hit. It stayed at number one on R&R's Christian CHR chart for eleven weeks in a row by mid December, ending the year as the second most played song on the format. Brandon Heath currently resides in Houston, Texas. He is a worship leader at The Loft church in The Woodlands area.